Kishimoto Building 2F, 1-9-2 Sonezakishinchi, Kita-ku, Osaka. 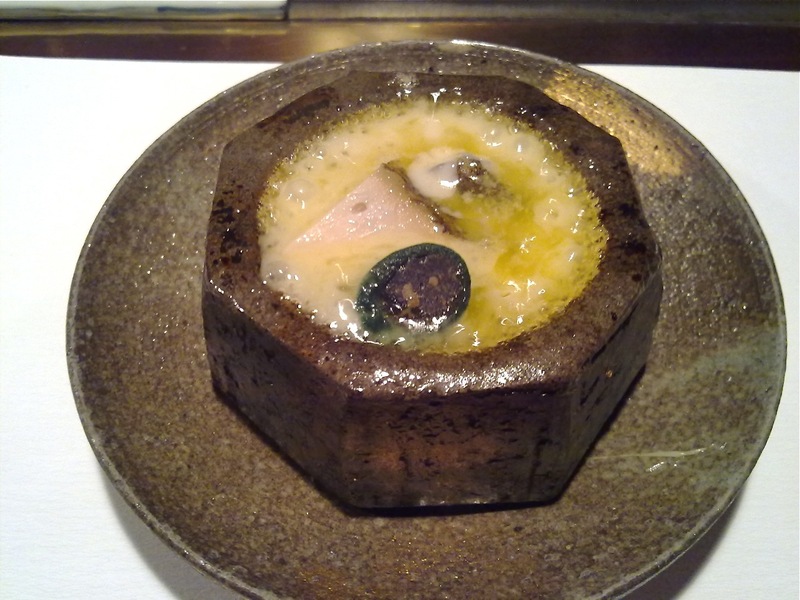 Kahala is a 2-Michelin Star Japanese restaurant in the heart of Osaka, within walking distance from the Osaka station and the surrounding commercial/shopping hub. It has a small 9-seater single row counter layout, with only one seating on night we were there. We were not aware that our seating that night was meant to start at precisely 7pm and were late while getting lost on the way there. It would have been quite embarrassing keeping 7 other guests waiting 20 minutes for us but fortunately, the chef kept everyone happy by serving a variety of flavoured sake and local wines in the meantime. When he is not cooking, Chef Mori-san's hobby is lacquer work and much of the tableware in his restaurant is the result of this. 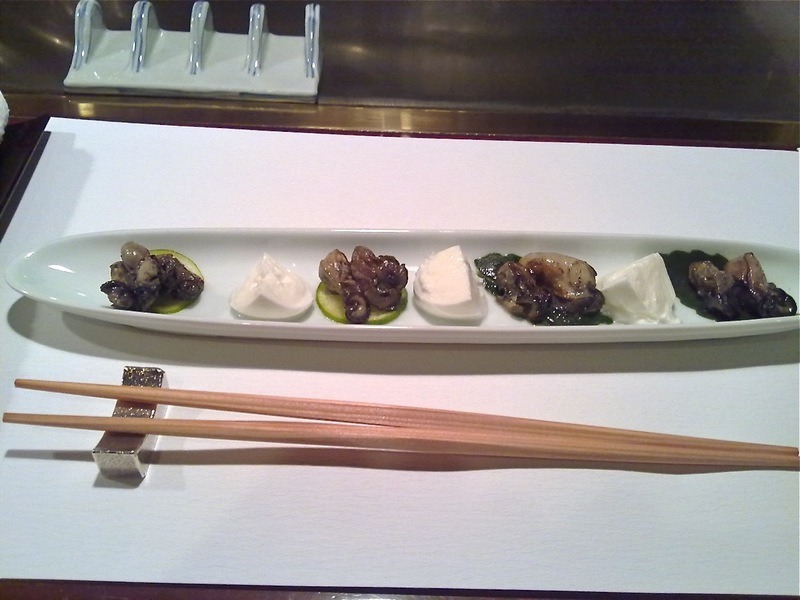 The chef did not waste any time trying to impress us by starting off with marinated oysters sitting on a slice of lime accompanied by mozzarella, which was excellent. 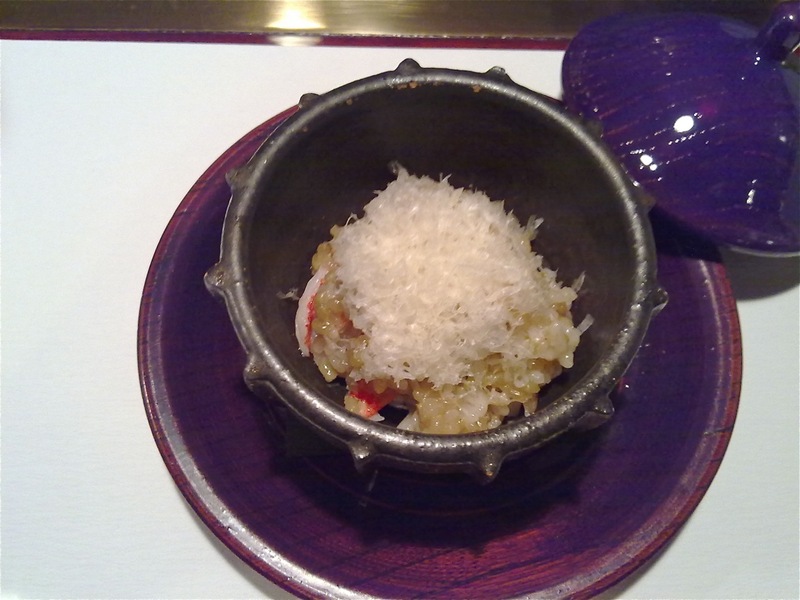 Next was a bowl of barley with crabmeat which was excellent. 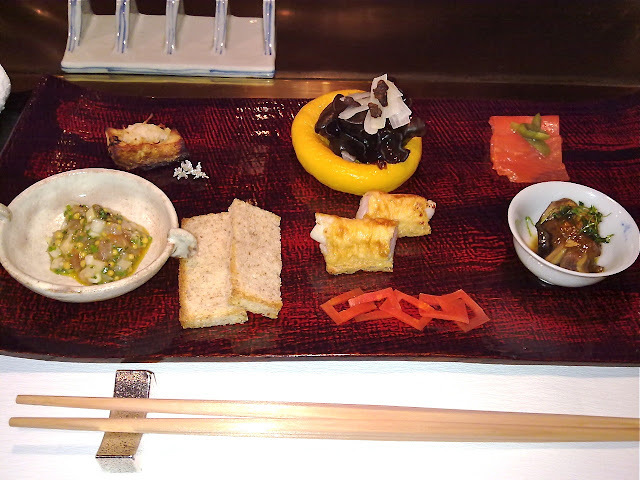 Next was an assortment of vegetables, smoked salmon, a piece of grilled fish and some bread. 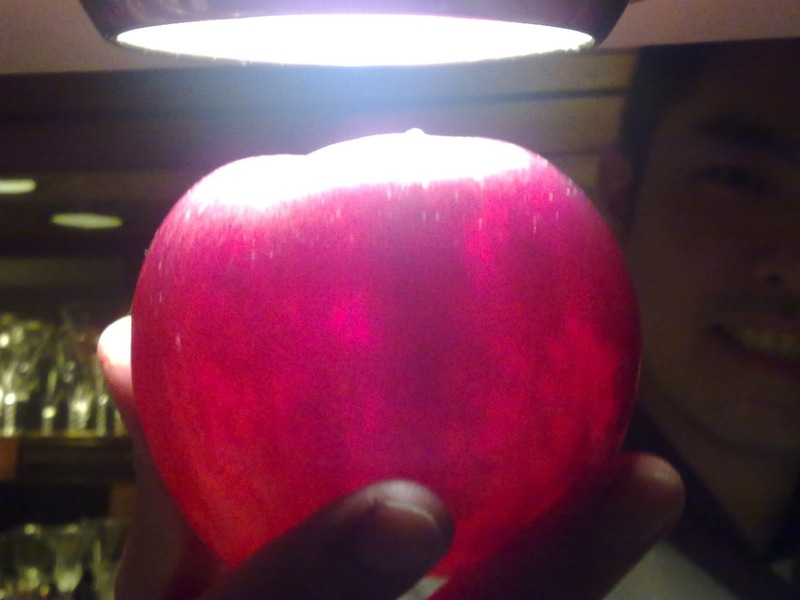 It wasn't particularly special. 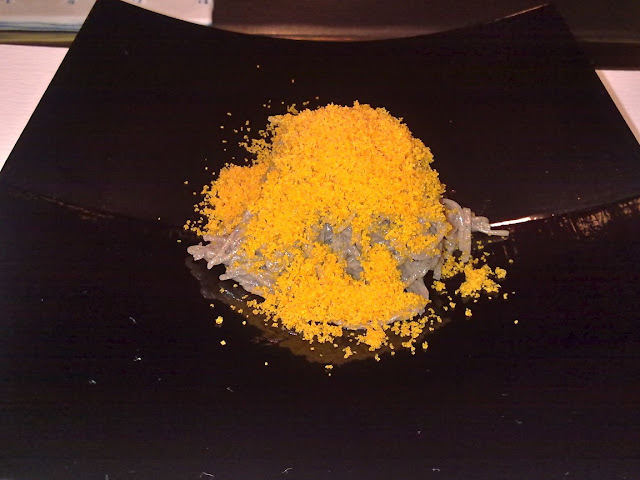 The next dish of warm soba topped with fish roe was even more bizarre. I didn't particularly like it but it managed to fill me up rather prematurely into my dinner. The next dish was the grilled fugu (puffer fish) on a bed of rice. This was really good. 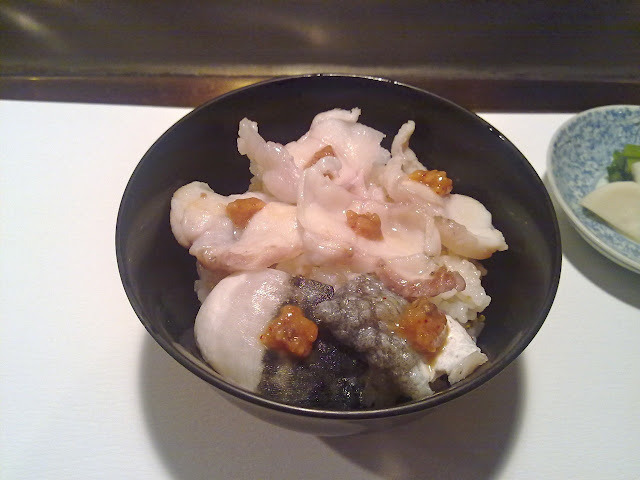 Fugu is a delicacy and to be given so much of it in a bowl was a real treat. The dinner was just about getting better now. 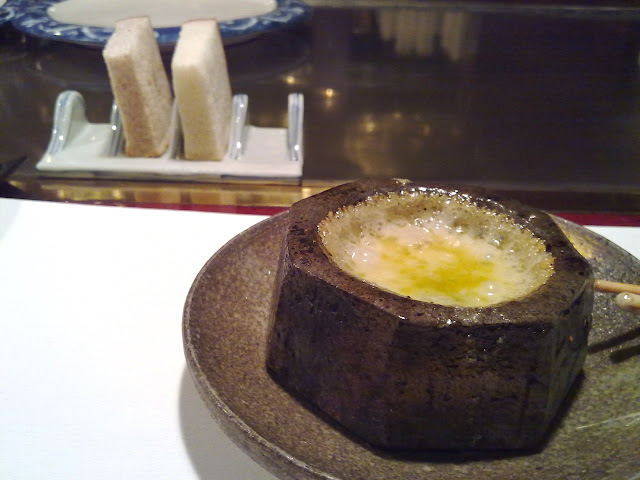 The cheese fondue with abalone was out of this world. The abalone was cooked in boiling melted cheese in a bowl. 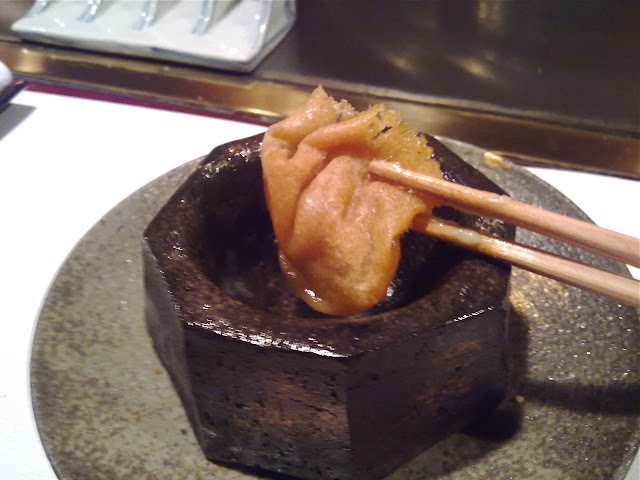 When the cheese had cooled (and we had eaten the abalone), we would scrap the cheese off the stone bowl as well. The interlude before the final main course was a rather strange leek soup which was not much to look at and not much of taste either. 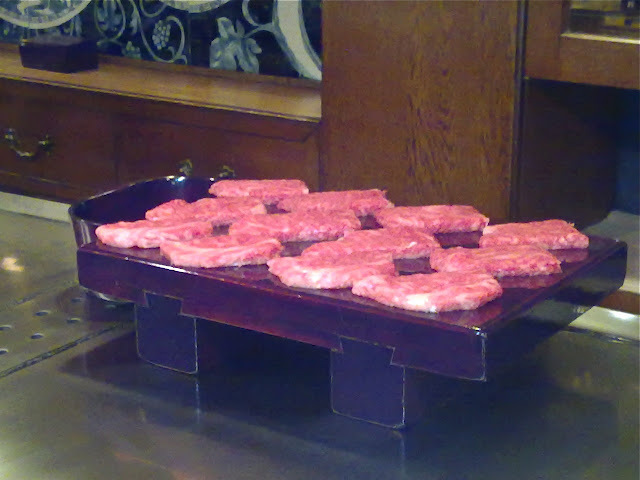 Then the Iga beef (claimed by the chef to be, in his view, the best beef in Japan) seared teppanyaki style on the counter which we only then realised was actually a teppanyaki countertop. This would probably be the best beef we had eaten, though we were only given small piece each to savor (the picture below was the beef for the entire counter of 9 guests)! 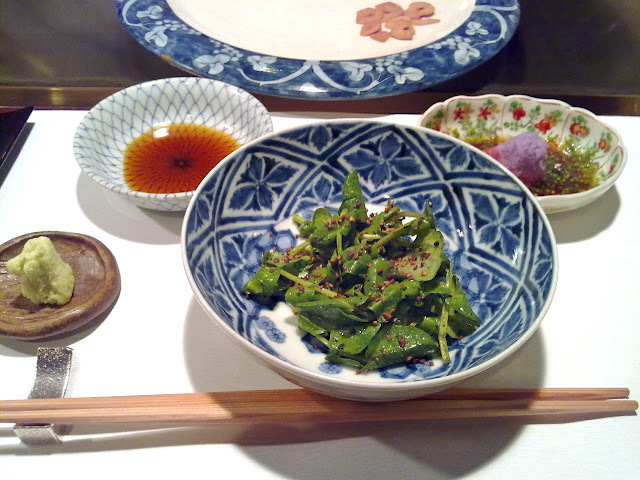 The beef was served with some salad. 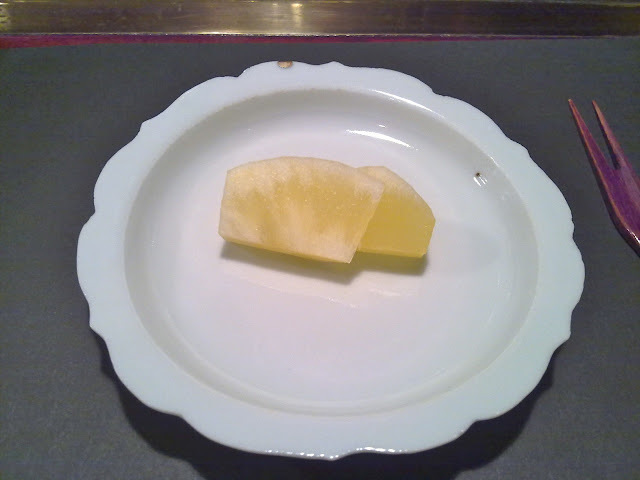 For dessert, we were treated to slices of a fresh Yamagata apple which (under the light appears to be translucent) was unusually sweet (for an apple). Usually a fruit for dessert is a cop-out but in Japan, given how sweet the fruits are over there, it's really not much point putting in so much effort preparing desserts when the naturally-grown fruits already so wonderful. 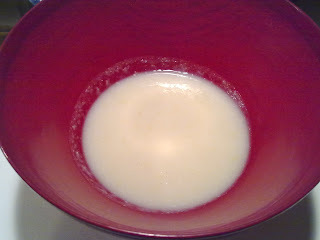 But there was proper dessert after all and it was a very nice almond cream done panna cotta style with brown sugar reduction on top. Strangely, the chef insisted that we end up with a rich cup of chai masala, which was a unique finale to a fantastic meal. Chef Mori-san and his young English speaking assistant were very entertaining and kept serving us with interesting alcohol, ranging from different types of sake, champagne and wines, and at midnight, the 9 drunk and rowdy guests (7 Japanese diners and ourselves) made our way out of the restaurant onto the street feeling well pleased. 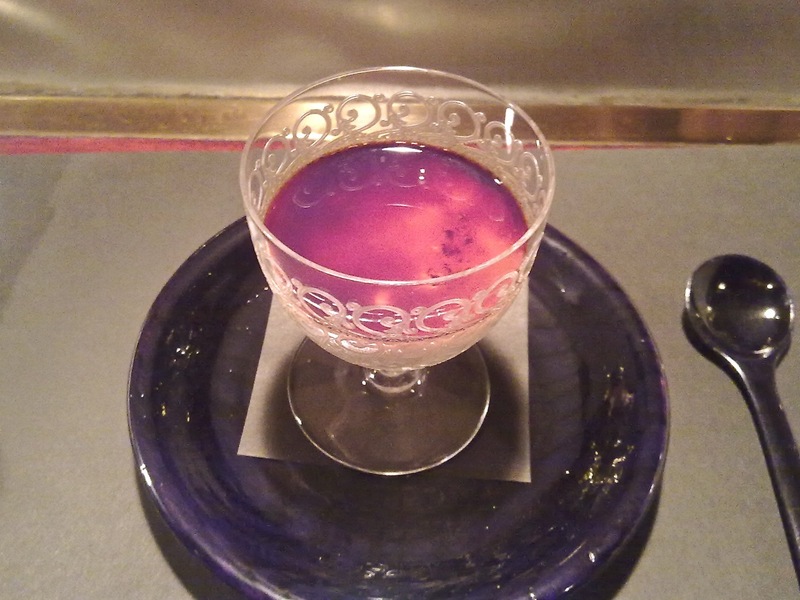 It was a very interesting dinner with a great ambience, innovative food and a friendly and knowledgeable chef who could pair his food well with matching alcohol. The enthusiasm of the chef and his staff made it a memorable dining experience.